Bud's offers the best in Marysville Subaru service! Come see us today for all of your Snohomish County Subaru repair needs at our convenient Marysville location, just north of Everett - you'll find that we're just as passionate about your Subaru as you are. Subaru is different. So are we. At Bud’s Auto Repair & Transmission, we know that Subaru vehicles are built to last - and we know that these well-built cars need the proper car maintenance to increase their longevity. Subaru's are intricate, powerful vehicles that require a thorough understanding of the mechanics that make them unique from other cars. We know your Subaru inside and out, so we are able to provide you a more accurate diagnosis and proper repair than competitors. Because we understand your Subaru better than most other shops, you can be sure that you’ll be getting only the necessary service. Further, you’ll save time in the shop which is costly to you and a real inconvenience. Many auto repair facility work by just trying different fixes to see what works. While this trial and error can end up with the solution in the end, it’s better if your Subaru repair technician has the experience and knowledge to know what will and won’t work the first time out. That’s what you get with Buds Auto Repair and Transmission service. We have auto repair mechanics and technicians with deep knowledge of the Subaru brand and the long history of successful Subaru repairs. At Bud’s, it is our mission to offer a fair price for quality Marysville Subaru service. Marysville and Everett drivers know that Bud’s provides top quality auto service at a price that will not break the bank. We take pride in maintaining our customer relationships! Our Subaru Repair Technicians - The Best Trained and Most Experienced! Bud’s ASE certified master mechanic team is experienced with the full spectrum of Subaru years and models, including the Impreza WRX & STI, Outback, Tribeca, Legacy, Forester, XV Crosstrek, BRZ, etc. Bud's Auto Repair invests in the best training for our Subaru repair technicians. We are proud to have technicians that have been with us for many years and know both our community and our customers vehicles literally inside and out. Buds is not just interested in getting you in and out the door. We make sure that you have complete knowledge of what your cars needs are, the options you have for making your car function well and a fully range of choices and costs. With Buds, you’ll experience a local, caring Subaru repair shop that has your best interest at heart at every turn. Because we understand your Subaru better than most other shops, you can be sure that you’ll be getting only the necessary service. Further, you’ll save time in the shop which is costly to you and a real inconvenience. Many auto repair facility work by just trying different fixes to see what works. While this trial and error can end up with the solution in the end, it’s better if your Subaru repair technician has the experience and knowledge to know what will and won’t work the first time out. That’s what you get with Buds Auto Repair and Transmission service. We have auto repair mechanics and technicians with deep knowledge of the Subaru brand and the long history of successful Subaru repairs. While the systems on each car are similar, every brand, including Subaru, has their own way of designing and manufacturing a car. That’s why it’s important for you as the Subaru owner to trust your vehicle to someone who has experience and training with the unique design and functioning or your cars key systems. Whether the brakes, electrical, suspension or drivetrain, you can rest assured that our auto repair technicians have seen it before. Just like the medical profession has specialists in certain areas, auto repair shops can develop specialties related to certain brands. Buds Auto has developed that special level of service knowledge over the years and that benefits you as the Subaru owner. No matter what kind of Subaru service or maintenance your vehicle needs, you can count on our knowledgeable team to be up to the task! 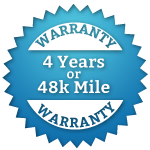 Bud’s offers a LIFETIME Warranty on Subaru Head gasket replacement services! YES, LIFETIME for your full ownership of the vehicle! How can we offer such a great special? Well, our Subaru technicians have access to the most advance diagnostic tools and we use only the highest quality parts available. Performance Mods are used by Subaru owners who want to upgrade their vehicles performance. These areas (and more) can be modified to enhance the performance of your vehicle. Current Model Year or Older Subaru - Bud's Is Your Expert Subaru Repair Shop! Both current model and older cars are no problem for Buds auto repair technicians. Because we’ve been specializing in Subaru repairs for many years, we’ve seen a large range of vehicle models and ages. We’re pleased to service both older and brand new Subarus! Our goal is to have your Subaru safe, reliable and fun to drive! We go the extra mile to ensure you are happy with both the service on your car and the care with which we treat you as our valued customer. We know that without you, we don’t have a business, so our team of trained experts will look for all the ways that we can give you the best experience at Buds Auto Repair. Contact Us Today to Schedule Your Next Subaru Service or Repair! Let Bud’s Subaru auto repair experts do the job! Give Bud’s a call today, or schedule your appointment online for your next Marysville Subaru service!